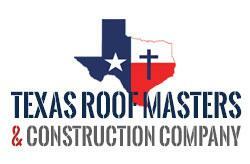 Texas Roof Masters and Construction believes in customer service first. Building relationships and servicing our community is our goal. As a Christian based company, honesty and integrity are at our core. We are here to review your project requirements and make recommendations so we can complete your project with the best materials, on-time and within budget. We can answer many questions over the phone and look forward to hearing from you. Whether it's superb colors and beautiful styles you're looking for, or unparalleled durability and performance, the bottom line is you will find it all here. Texas Roof Masters and Construction Company provides the highest quality gutters in the industry with the use of the latest in seamless gutter machinery. Is your home or business beginning to look worn down? You would be surprised how a fresh coat of paint can bring a property back to life.